Project Assistant Level-I: Applicants who have completed Diploma in Mechanical or equivalent from a recognized Institute for CIMFR Recruitment 2018. Project Assistant Level-I: Applicants who have completed Diploma in Civil or equivalent from a recognized Institute for CIMFR Recruitment 2018. Project Assistant Level-I: Applicants who have completed B.Sc in Geology or equivalent from a recognized Institute for CIMFR Recruitment 2018. Project Assistant Level-I: Applicants who have completed B.Sc in Chemistry or equivalent from a recognized Institute for CIMFR Recruitment 2018. Project Assistant Level-II: Applicants who have completed B.Tech in Civil/ Mechanical or equivalent from a recognized Institute for CIMFR Recruitment 2018. Project Assistant Level-II: Applicants who have completed M.Sc in Chemistry or equivalent from a recognized Institute for CIMFR Recruitment 2018. Project Assistant Level-II: Applicants who have completed M.Sc in Geology/ Applied Geology or equivalent from a recognized Institute for CIMFR Recruitment 2018. Project Assistant Level-II: Applicants who have completed B.Tech in Mechanical or equivalent from a recognized Institute for CIMFR Recruitment 2018.
and venue from the official website. 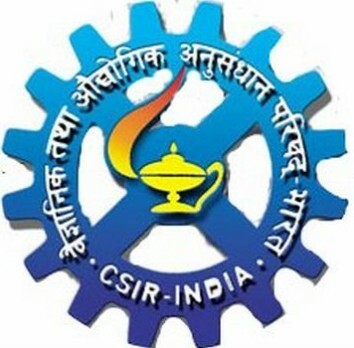 Applicants should reach on the pre-decided date, time and venue of CSIR-CIMFR and submit the print out of the Application Form already submitted online along with copies of all Certificates/Marks sheet. Technical Assistant (Chemistry): Applicants who have completed 1st Class BSc with Chemistry as one of the subjects from a recognized University with 1-year experience in Chemistry field from a recognized Institute. Technical Assistant (Electrical Engineering): Applicants who have completed 1st Class Diploma in Electrical Engineering from a recognized University/Institute. Technical Assistant (Geology): Applicants who have completed 1st Class BSc with Geology as one of the subjects from a recognized University with 1-year experience in relevant discipline from a recognized Institute. Technical Assistant (Mechanical Engineering): Applicants who have completed 1st Class Diploma in Mechanical Engineering from a recognized University/Institute. Technical Assistant (Mining Engineering): Applicants who have completed 1st Class Diploma in Mining Engineering from a recognized University/Institute. Technical Officer (Chemical Engineering): Applicants who have completed BE/ BTech or equivalent in Chemical Engineering with 55% marks from a recognized Institute/University. Technical Officer (Civil Engineering): Applicants who have completed BE/BTech or equivalent in Civil Engineering with 55% marks from a recognized Institute/ University. Technical Officer (Computer Science): Applicants who have completed BE/BTech or equivalent in Computer Science with 55% marks from a recognized Institute/ University. Technical Officer (Electronics & Instrumentation Engineering): Applicants who have completed BE/BTech or equivalent in Electronics & Instrumentation Engineering with 55% marks from a recognized Institute/University. Technical Assistant (Electrical Engineering): Applicants who have completed BE/ BTech or equivalent in Electrical Engineering with 55% marks from a recognized Institute/University. Technical Assistant (Mechanical Engineering): Applicants who have completed 1st Class Diploma in Mechanical Engineering from a recognized University/Institute of at least 3 years full time duration or at least 2 years full time duration in case of lateral admission in Diploma courses or its equivalent with 02 years experience in the relevant area from a recognized Institution. Technical Assistant (Mining Engineering): Applicants who have completed 1st Class Diploma in Mining Engineering from a recognized University/Institute of at least 3 years full time duration or at least 2 years full time duration in case of lateral admission in Diploma courses or its equivalent with 02 years experience in relevant area from a recognized Institution. Eligible & Interested candidates can apply via online in Official website page in www.cmfri.nic.in CIMFR Recruitment 2018. Complete the CIMFR Jobs Application Form with the essential data. Take a print out of CIMFR Recruitment 2018 online application form.